Ryan learnt his craft as a youth with Para Hills Knights and the South Australian Sports Institute while growing up in Adelaide. In 2006, he made his professional debut with the Knights before being signed to a deal with Heart of Midlothian. By this time, Ryan had represented Australia at Under 17 and Under 20 level. He made his debut in Scotland in 2008, playing on loan for a full season at Ayr United and a shorter spell Partick Thistle before holding down a place in the Edinburgh side from 2011 onwards. Ryan played two full seasons at Tynecastle, winning a Scottish Cup winner's medal in 2012 during Hearts' 5-1 defeat of Hibernian, and the club's Young Player of the Year award. Capped at Under 20 level for the FIFA U20 World Cup in Egypt. In January 2013, Hearts accepted an offer of £400,000 for Ryan from Chinese club Shandong Luneng Taishan, where he won a Chinese FA Cup winner's medal. Now an established International player for the full squad, Ryan represented Australia at the World Cup in Brazil 2014. 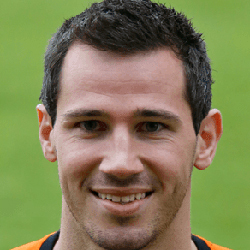 Upon the end of his contract in January 2015, Ryan returned to Edinburgh where he trained with Loanhead Parish Church FC, before agreeing a move to Tannadice, signing an eighteen month contract. 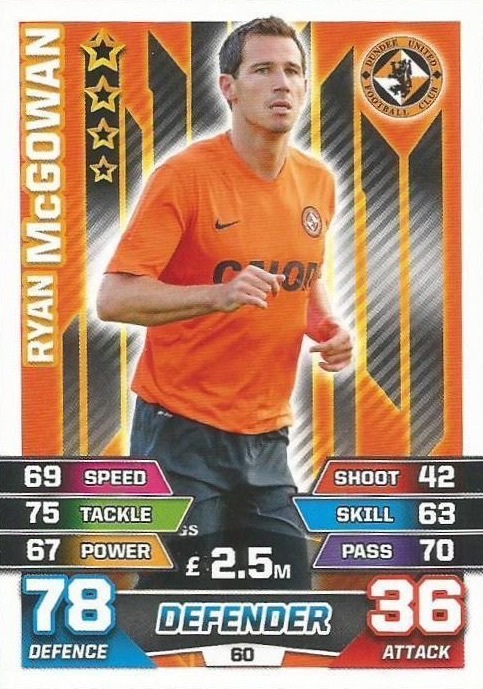 Ryan's arrival at United, however, coincided with a bad turn in form for the club and through February and March the club went ten games without a win, crashing out of the Scottish Cup and losing the League Cup Final to Celtic, during which Ryan collected a runners-up medal. Off the field, Ryan remained a positive voice for the Club while form continued to dip and following the departure of Jackie McNamara, he retained his place in the side under new boss Mixu Paatelainen. In January 2016, with United languishing fourteen points adrift at the bottom of the Premiership and five months remaining on his contract, Ryan agreed a return back to China to play with Henan Jianye for a reported fee with £300,000. Ryan was born on this date in Adelaide, Australia. 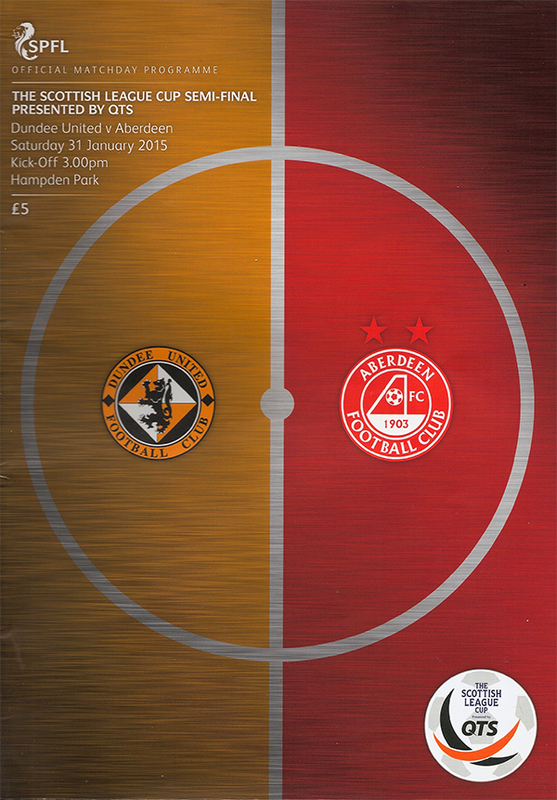 United were dealt a blow prior to the match as Billy Mckay missed out due to being granted compassionate leave. That meant a further shake up to the side with Mixu Paatelainen making five changes to the team that defeated Airdrie. Ryan McGowan and Gavin Gunning returned from suspension and there was a recall for John Souttar and Simon Murray. New signing Riku Riski made his first start for the Club whilst goalkeeper Eiji Kawashima played his first game at Tannadice. Coll Donaldson and Chris Erskine dropped to the bench with Guy Demel and Mark Durnan missing through suspension. There was also a welcome return to the match day squad for Ryan Dow. Stuart Armstrong returned to the visitors line up with Nadir Ciftci and Scott Allan listed as substitutes.